Chris Fowle says God has answered his prayers: The 11-year-old's father has come home after being held for six months in North Korea. "We prayed to God and he answered our prayers, thankfully," said Fowle, the middle of three children. 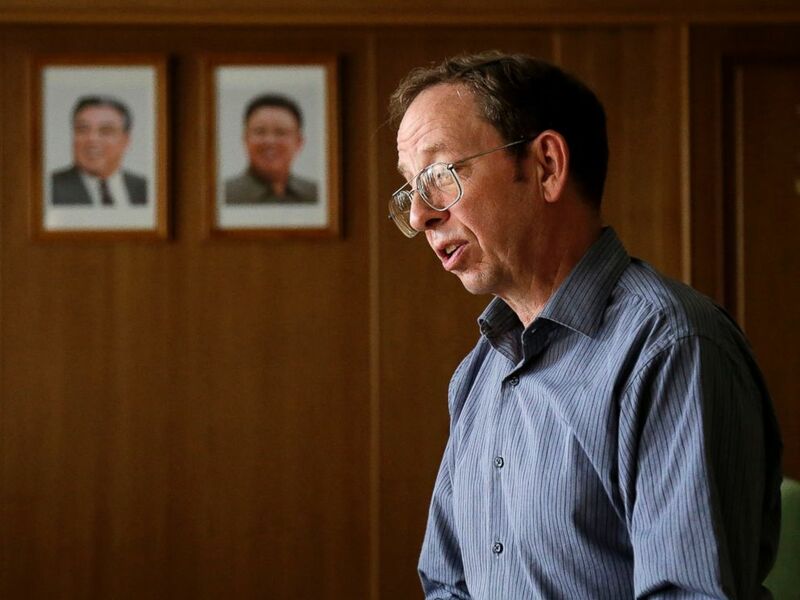 His father, Jeffrey Fowle, was taken into custody in May after he left a Bible in a North Korean nightclub bathroom in the hopes a Christian might find it. The North Korea dictatorship has a strict law forbidding religions not approved by the state. "I was motivated by the stories I had heard of the severe persecution of the underground Christian church there," said Fowle, whose wife Tatyana had told him not to bring the Bible into the country. 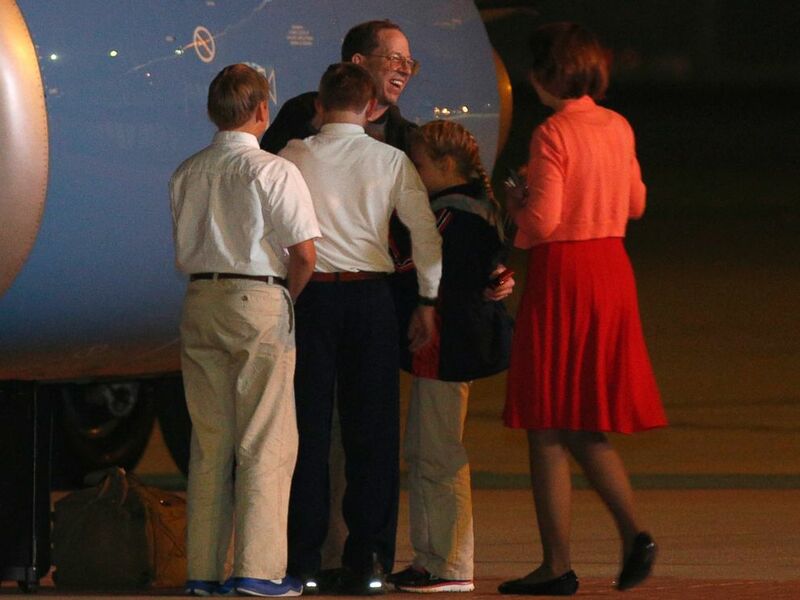 Before his release on Oct. 21, Fowle was one of three Americans held in North Korea. Two others -- Matthew Todd Miller and missionary Kenneth Bae -- are still in detention, both sentenced to years of hard labor for their alleged crimes against the Democratic People's Republic of Korea (DPRK), North Korea's formal name. "I don't recommend anybody sneaking across the border with a sack full of Bibles or tracts," Fowle said in an interview with ABC News. "They're serious about their anti-religion in the DPRK." Jeffrey Fowle is greeted by family members on his arrival at Wright-Patterson Airforce Base, Oct. 22, 2014, in Dayton, Ohio. But it was more than just prayers that led to Fowle's freedom. The Swedish government played a key role in securing Fowle's release and kept him informed about his family's well-being while he was detained. Fowle also said his wife's Russian nationality may have helped influence his release, given North Korea's relationship with her native country. Fowle had spoken out from detention about the U.S. government, criticizing their hostile stance against North Korea in a statement released during his captivity. But it was all in an attempt, Fowle said, to be a "model" detainee. "So you had to say something you don't believe?" asked ABC News' Bob Woodruff. While North Korea has been known for human rights violations and notorious treatment of prisoners, Fowle says he had a different experience. The Ohio native was held in a luxury hotel for the majority of his detainment, and was followed by a guard who never gave his name, only his age of 56 -- the same as Fowle's. "Physically I was not abused at all," Fowle told ABC News. "Three meals a day. After I was there for about two weeks straight, my interpreter would go out with me for 30-, 40-minute walks." When asked by Woodruff what he would change if he did it over again, Fowle joked, "Stay home maybe."